Providing opportunities to meet and mingle is one of San Diego’s specialties. Whether you are an early riser, light lunch-farer or evening mixer; North County is filled with a variety of networking groups. A variety of events to provide something for everyone. Monthly happy hours for the social butterfly, breakfast with speaker panels, and exclusive Cigar and Scotch mixers every other month. The organization is run by volunteers under the U.S. Small Business Administration. 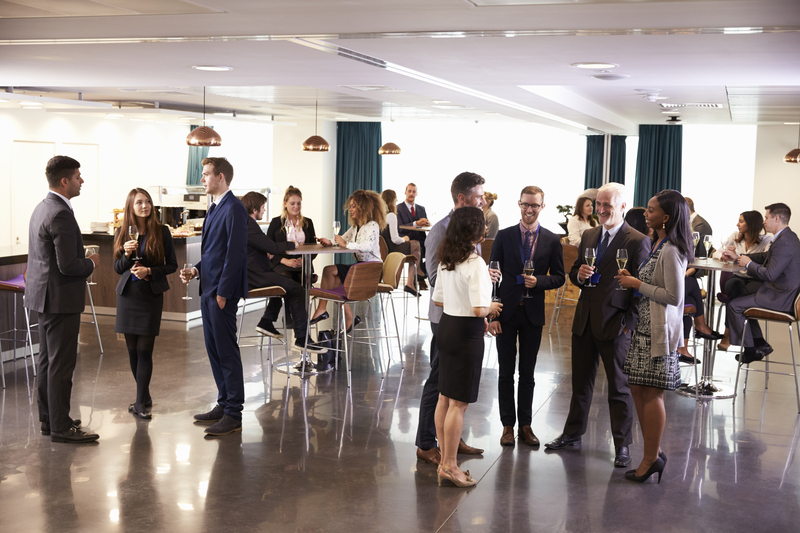 A great fit for entrepreneurs, you can choose from a variety of networking events. Additionally, they offer over 40 workshops a year, for little or no cost at all. Find and meet with a mentor for useful tips from how to establish a marketing plan to understanding rules and regulations. Boasting 220,000 members in over 8,000 chapters worldwide, BNI is a referral organization you want to be a part of. Sticking to breakfast meetings to get you to your morning meeting; you won’t find any competition in your industry here. They only allow one member per industry per chapter. Sorry guys, this is a females-only group. This group of powerhouse women leaders gather for monthly luncheons that include speakers (watch close for some big Hollywood names), networking, table displays, vendors, business introductions, shout outs, door prizes and lots of extras. The tag phrase “Women Empowering Women in Friendship and Business”; authentically and realistically describes this great group of women of all ages. Four events consistently every month, meeting at various north county coastal locations. You can choose from lunch, an evening mixer, an educational seminar, or golfing! In true north county fashion they pride themselves in connecting excellent referrals in a relaxed, happy hour environment. The group that creates true connections through the things that matter: people, the planet, and profit. Connect with like-minded individuals and attend events designed to inspire, pulse your creativity, and encourage you to build your business in a deep and meaningful way. Expect monthly speakers, luncheons, workshops, breakfasts and the opportunity to BE the event speaker yourself. The founder of Connect for Success had a vision for a women’s networking group: to be a Mastermind community support group that inspires, supports and builds lifelong relationships. Most of the events provide the platform to learn, inspire, create and forge both personal and professional growth goals. Gathering all over North County nearly every day of the week you are bound to find a group connecting over professional challenges, sharing in growth strategies and building relationships. Additional benefits are showcased in the Leaders Circle offering Leadership Mastermind Sessions, Leadership Tools and lots of other great growth encouragement extras. What began as a free organization created by business owners helping other business owners simply get established has grown into a network that meets in various pockets of San Diego weekly for support, referrals, sharing meals and stories. Networking is a crucial part of business development, especially if you own your own business. Have you attended one of these groups or are we missing one?